The future of the shale gas revolution and concerns over oil price discovery are among the cornerstone issues to be debated by senior oil and gas industry executives at the World Energy Council in Daegu, Korea, from 13 to 17 October 2013. Keynote speeches from Saudi Aramco CEO, Khalid Al-Falih and Royal Dutch Shell CEO, Peter Voser, plus a special event led by Alexander Novak, the Russian Minister of Energy, on the new positioning of Russia, will be among the highlights of the world’s most prestigious energy event. They will be joined by speakers from a wide range of leading national and international companies active in the oil and gas sector, such as BG Group, ConocoPhillips, Duke Energy, Ecopetrol, ExxonMobil, Gazprom, Japex, ONGC, Pemex, Pertamina, Sonatrach, TransCanada and Woodside Energy. Government ministers from influential oil nations from Africa, Asia, Europe, the Americas, and the Middle East will also be contributing to the debate, underlining the unique status of the triennial World Energy Congress as the only truly global and inclusive energy industry forum. 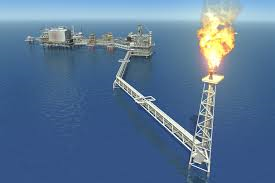 And with the exploration and production pipeline building back up to critical mass, including new discoveries in previously unexplored territories and major projects(such as in the Caspian Sea) coming on stream, there has never been a better time to find out where the industry will go next.